It's time for you, TV Fanatics, to choose your favorite ABC star! We have chosen 16 fan favorites for this showdown. The concept is easy: Pick your favorite of the two pairs in each poll. That's it! 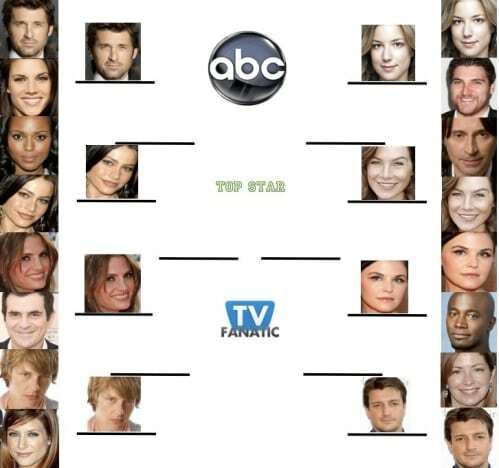 Last week, we began the quarterfinals with Patrick Dempsey and Sofia Vergara, then Stana Katic and Gabriel Mann. Today, it's Revenge's Emily VanCamp against Grey's Anatomy's Ellen Pompeo! Which star do you love the most? VOTE! We will post polls of these respective ABC matchups daily, and then after each round, update the bracket as some stars advance, while others are eliminated, until the winner is crowned. Make sense?